Every hurricane is a public health disaster, and the significant health concerns associated with these events are not fully captured by the fatalities recorded in the days immediately after the storm. Individuals may be exposed to chemicals or infectious disease pathogens through contaminated floodwater. In addition, people forced to relocate to shelters and confined to crowded spaces—frequently without adequate access to clean water, fresh air, or healthy food, and other basics that promote hygiene—are also at risk of contracting a disease. Furthermore, major hurricanes put those with chronic conditions in danger of losing their lives due to disrupted access to medicine and routine therapies. Contaminated water – chance of food- and waterborne disease outbreaks after catastrophic events. This dangerous exposure is predominantly the result of sewage system failures, causing contaminated floodwater to mix with rainwater. Exposure to floodwater can increase the risk of skin rashes; ear, nose, and throat problems; and conjunctivitis, but according to the World Health Organization (WHO), none of these are epidemic-prone. Neither is tetanus, but Texas health officials have recommended tetanus booster shots to protect against this disease, which is caused by suffering a deep wound that gets infected—something that has a better chance of happening when walking through standing floodwater full of debris, especially when barefoot. Mosquitoes – It is still too early to predict how much of an increase we will see in the number of mosquito-borne diseases after recent hurricanes because disaster clean up increases exposure to mosquitoes, so it wouldn’t be surprising to see more cases over the next 12 months. Airborne Pathogens – Airborne pathogens and foreign agents pose serious health risks to affected populations. Dangers can range from inhaling carbon monoxide from a portable generator running indoors to breathing in mold spores growing in flooded structures. Chronic Conditions and Trauma – Patients who are dependent on dialysis, oxygen, or insulin to survive, for example, are at greater risk of losing their lives following a catastrophe. Patients, therefore, must rely on backup generators to receive needed treatments. Increased stress levels triggered by a traumatic event can also weaken the immune systems of affected individuals or cause cardiac arrest. Hurricane Harvey was a Category 4 storm that hit Texas on August 25, 2017. It caused $125 billion in damage according to the National Hurricane Centre. That’s more than any other natural disaster in U.S history except Hurricane Katrina. Texas Governor Greg Abbott needed more than $125 billion in federal relief. It affected 13 million people from Texas through Louisiana, Mississippi, Tennessee, and Kentucky.As of October 13, 2017, at least 88 people died from the storm. People in flooded areas quickly found themselves face-to-face with a range of health problems, including contaminated floodwaters and the threat of injury. Hurricane Harvey dumped more than 50 inches of rain on Texas and Louisiana. Irma drenched Florida in 16 inches of water. When people’s homes and workplaces have been swamped, the moisture that’s left behind — especially in the hot and humid South — becomes a breeding ground for mold. And mold can wreak havoc on the respiratory system. According to 2009 World Health Organization guidelines on the health impacts of mold, exposure to spores can cause or worsen asthma, lead to respiratory infections, and bring on fits of coughing and wheezing as well as difficulty breathing. The Centers for Disease Control and Prevention advised those affected by the storms to quickly clean up the mold in their homes. But that work isn’t always straightforward because mold can be difficult to spot: After Hurricane Katrina, even homes that were only partially flooded had mold lurking within their walls. A staggering 40,000 people lost their homes due to Harvey; the flooding also ruined a million cars. 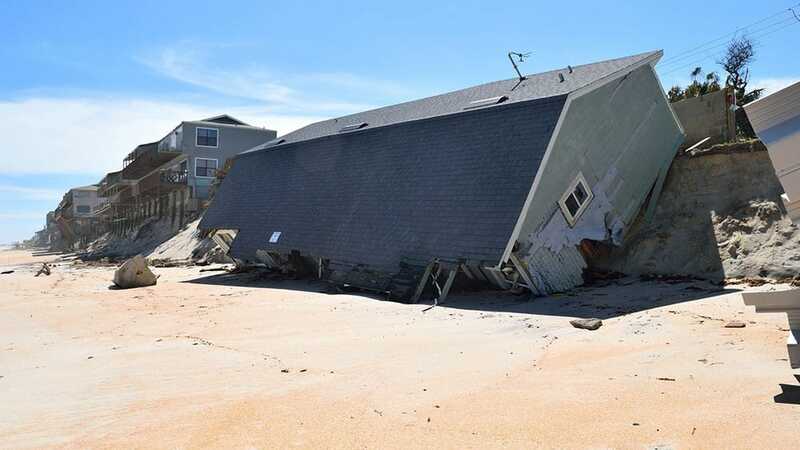 The stress and anguish that arises after such devastating losses of property can carry serious mental health consequences — particularly among those who have a history of anxiety or depression. In the month after Hurricane Katrina, some 17 percent of people in New Orleans reported experiencing mental problems, most commonly post-traumatic stress symptoms including nightmares and flashbacks. Among children, the rates were even higher: 37 percent of kids who lived through Katrina were diagnosed with a mental condition after the storm. Charles Benight, who studies trauma at the at the University of Colorado, told Vox, “We all have a threshold that if we watch a loved one swept away in rushing water and drown, that can definitely create post-traumatic stress disorder.” In a situation like Harvey, he expects that between 5 and 15 percent of those affected will end up with “significant mental health challenges such as post-traumatic stress disorder.” Up to 50 percent, though, will experience shorter-term stress related to the storm and the recovery. Texans face a ‘triple threat’ from insects, mold, and bacteria in Harvey’s wake. Harvey struck the heart of Texas’ refining industry, where roughly a third of America’s oil is processed. Irma first made landfall in Barbuda— an island with a population of about 1,800 — around 1:47 a.m. ET Wednesday. Local weather stations there captured wind gusts of 155 mph before going silent, indicating that the instruments had been blown away. Irma’s sustained winds had been reported at 185 mph, with gusts above 215 mph. Irma caused more than 28 million gallons of sewage to be dumped across Florida. Florida relies on a system of wastewater lift stations with electronic pumps that move sewage through the state. But when Irma knocked out the electricity in many areas, some of the sewage pumps were also cut off, leading to overflows and spills of raw sewage — which harbor dangerous bacteria, viruses, and parasites, such as E. coli, salmonella, and hepatitis A. 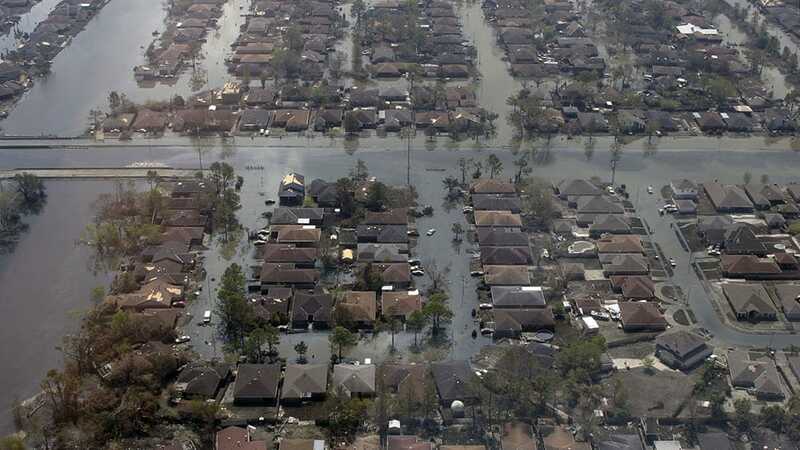 An overview of New Orleans, Lousiana after Hurricane Katrina. 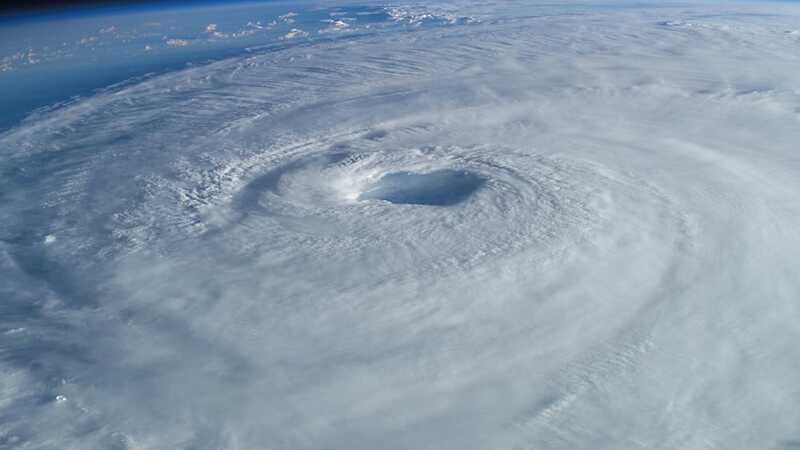 Was an extremely destructive and deadly tropical cyclone that is tied with Hurricane Harvey of 2017 as the costliest tropical cyclone on record. Katrina was also one of the costliest natural disasters and one of the five deadliest hurricanes in the history of the United States. As Katrina made landfall, its front right quadrant, which held the strongest winds, slammed into Gulfport, Mississippi, devastating it. The Centers for Disease Control and Prevention advised those affected by the storms to quickly clean up the mold in their homes. But that work isn’t always straightforward because mold can be difficult to spot: After Hurricane Katrina, even homes that were only partially flooded had mold lurking within their walls. Following Hurricane Katrina in 2005, Vibrio pathogens sickened two dozen people and killed six. Results of the water testing organized by the New York Times revealed an E. coli contamination four times greater than the safe level.1 Cholera is a highly pathogenic, waterborne disease that is a particular risk in the Caribbean, as the disease is endemic in the region. More than 100 people have died from cholera in Haiti in 2017. Following Irma’s landfall in Haiti, there have been increased concerns about mortality and morbidity caused by cholera, although these risks can be mitigated by administering rapid diagnostic tests and the cholera vaccine (KOCV) in affected areas. The mold left behind by the hurricanes may lead to respiratory problems. 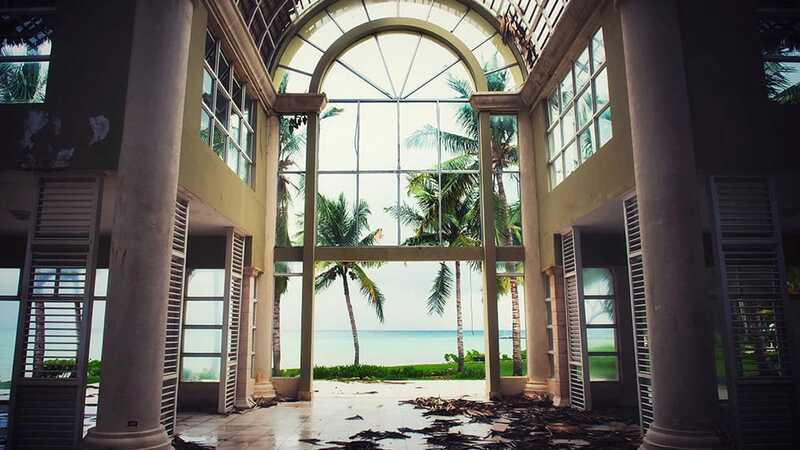 While we hope that your business, property or home is never faced with hurricane or storm damage. Mammoth Restoration is your fastest way to normal and always one call away 24 hours a day, 365 days a year.